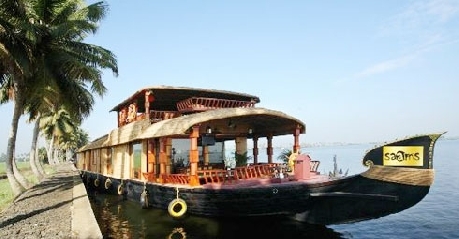 SAAMS Houseboat is a stay of luxury and class which one can experience while travelling through the backwaters of Kerala. The houseboat is designed with all modern amenities and is ideal for singles, families or a group of friends. 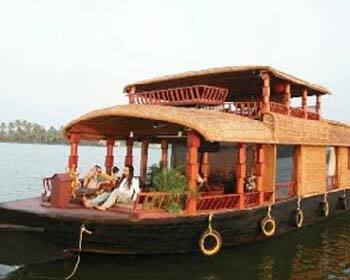 The houseboats can be reached via a boat ride from Alleppey and offer one a majestic view of the lakes and backwaters of Kerala. This is ultra-luxury living and the houseboat comes with a dining room, living area and a private kitchenette. SAAMS also organize birthday parties, corporate retreats and wedding ceremonies son special request. Other facilities of this luxurious houseboat are laundry service, dedicated chef and butler and all travel arrangements. 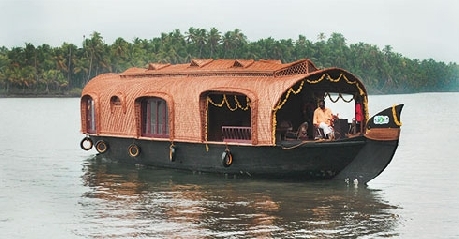 The SAAMS houseboat is a perfect coming together of luxury and traditional Kerala architecture. The air conditioned accommodation has three separate bedrooms with large bay windows. 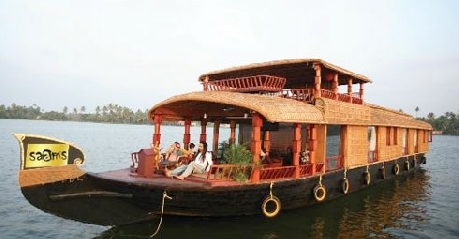 The houseboat has been done completely in fine teakwood and looks really amazing with its wooden interiors. 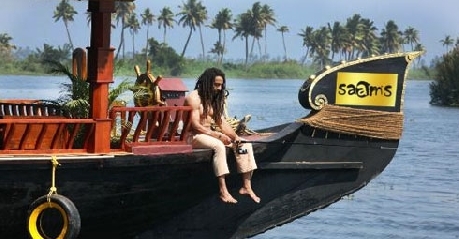 The houseboat has a lobby which is well furnished to act as a lounge where one can enjoy the view of the Arabian Sea. The elegantly designed bedrooms come with attached bathroom which has a shower cubical and round the clock supply of hot water. 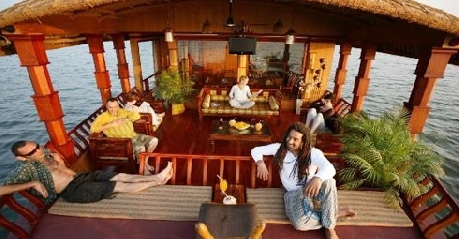 The upper deck of this houseboat can be used for small meetings and get together. The houseboat is wooden floored and comes with a mini bar. Other amenities of this houseboat are color television, bathroom toiletries, mini bar, tea or coffee maker, butler service and a kitchenette. The dining facility is on par with the luxurious rooms and the houseboat has a kitchenette equipped with all required amenities and appliances. The on board chef is highly trained to provide you with authentic Kerala cuisine such as lobsters, crisp vegetables and other sea food.